...the tornado sirens were sounding in Wichita as an EF-3 tornado moved through the southeast edge of the city. The above video will show you the terror of an EF-3 tornado moving through a densely-populated area at night. Not amazingly, there were no deaths. What do I mean by "not amazingly"? As the science of meteorology as progressed, this tornado was incredibly well forecast by the National Weather Service and by AccuWeather. Let's begin with the National Weather Service. 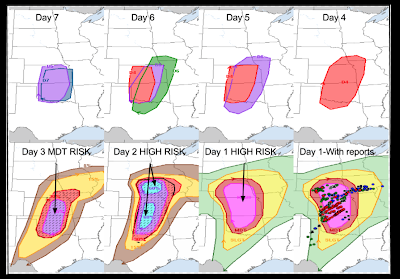 They forecast the tornado seven days in advance. The red dots represent tornado locations. 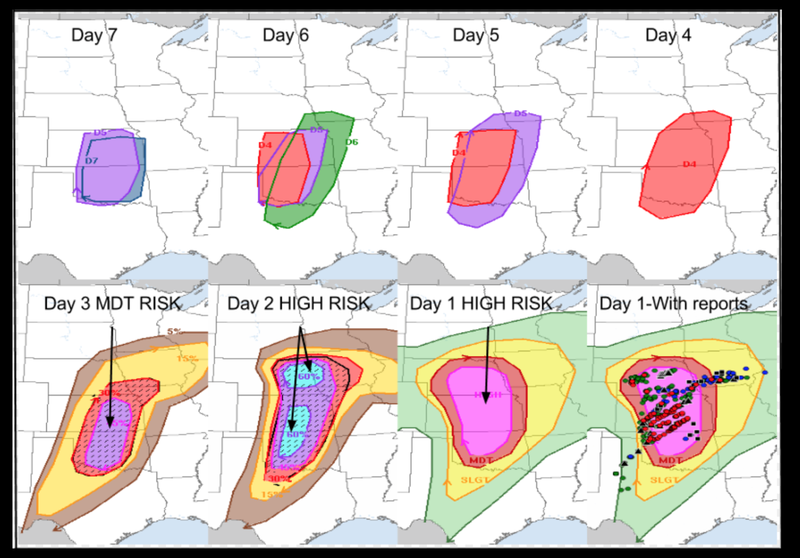 Don't just compare the "day one" forecast (lower right) to the tornadoes, go all the way back to a week before the storm (upper right). Superb forecast. 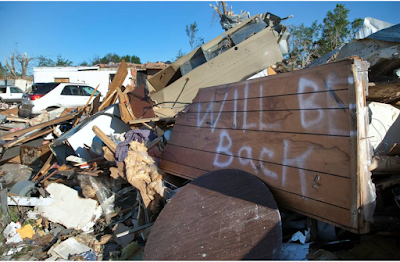 At AccuWeather, we warned 13 clients in the path of the tornado. It included Spirit Aerosystems ($250,000,000 damages with 300 people on-site that evening) and Beech Activities Center (where a prom was in progress) -- no one was injured! Another example of weather science saving lives.